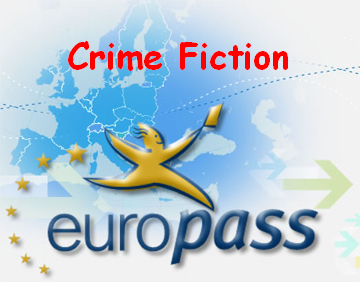 Greece is the latest country to feature in the Crime Fiction on a Euro Pass challenge hosted by Kerrie at Mysteries in Paradise. 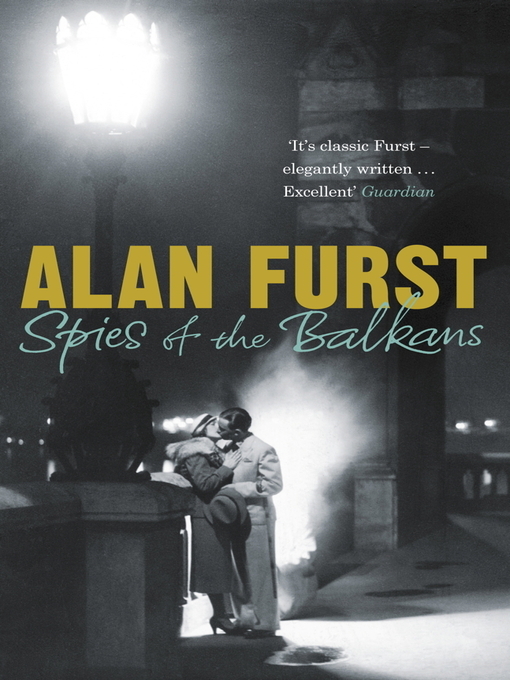 I’ve read a few books recently set in Greece, but my favourite by far was Alan Furst’s Spies of the Balkans. Furst has created a niche for himself by writing thrillers set around the Second World War in the style of Eric Ambler and John Le Carre. Many of them are set in occupied Paris, but he has moved the narrative of his most recent book to Salonika in Greece. Salonika of the 1940s is a city influenced by the culture of the Ottomans to the East and the Balkans to the north. Teetering on the brink of catastrophe, the defeated army of Mussolini have retreated but the German army is mobilising and the 50,000 Jewish citizens are beginning to fear for their safety. The book’s hero is Costa Zannis, a special branch police officer, who has responsibility for the more delicate political assignments in the city. In the course of his work he becomes aware of an escape line operating to help Jews out of Germany, through Salonika and on to Istanbul. His assistance with the escape line brings him to the attention of the British intelligence and he is persuaded to help an English scientist escape from Paris. Although the action moves from Salonika to Paris and then onto Belgrade, the character and focus is firmly on Greece. The book is full of a wealth of detail about the city before its Jewish population was decimated by the Nazi invasion. The close relationship between the city and the neighbouring Istanbul is a surprise in light of ongoing tensions between Greece and Turkey but Furst convincingly portrays the loose allegiances that can develop in wartime. The character of Costa Zannis is very much along the model of many of Furst’s previous male spies but is nevertheless an interesting protagonist. The female characters are less developed which is a shame, given the important role they have in the plot’s development. Spies of the Balkans is Furst’s 12th book but in my opinion one of his best and a good place to start for those new to the writer. On another note, I am actually writing this post in Greece. There is an oil refinery strike here at the moment and queues at petrol stations are getting tense. Has anyone ever written a thriller set in a petrol station I wonder? I have heard good things about Furst but have not read one of his books – your review tempts me to try. I was in Greece a couple of summers ago when there was a petrol strike (we were informed by the hire car man just after we hired the car!) – it was quite hairy as all the stations had ropes across the entrances. We were lucky in the end but I can well imagine a thriller showdown in that scenario! Thanks Maxine. I would recommend any of Furst’s books. They don’t necessarily have to be read in order. Many thanks for this contribution Sarah. I am impressed that you are on site! Sarah: I also enjoyed Spies of the Balkans. I thought Costa was almost unique in spy / crime fiction having a real family and a credible love life. Thanks Bill. I have just taken a look at your interesting blog. I will have to investigate some Saskatchewan crime books.